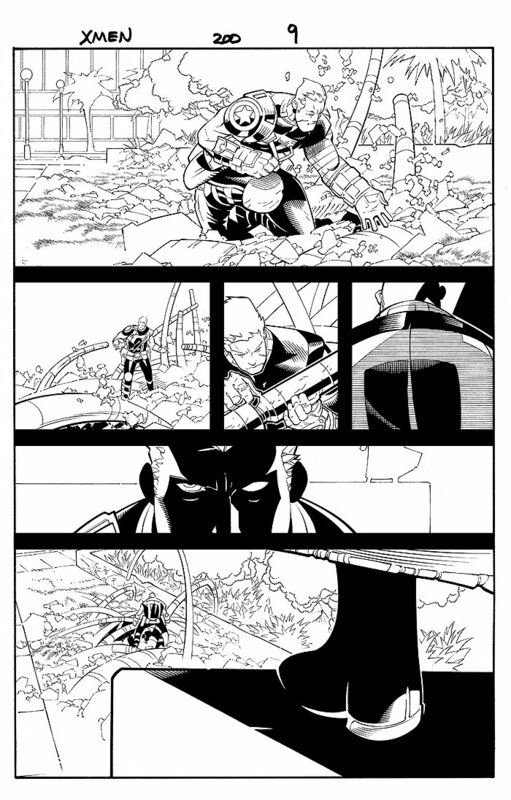 Check out this nice X-Men page, which was penciled by the great Chris Bachalo, and inked by Tim Townsend, From the story titled: "Blinded By the Light!" This nice page is from the story where Rogue has absorbed a few billion souls from the Hecatomb and the X-Men are called in to try and help her deal with the horde inside of her head; Malice infects the Omega Sentinel; Cable is attacked by Gambit and Sunfire; With the X-Men concentrating on Rogue's problem, they fail to notice that Mystique and Lady Mastermind are acting kind of sinister until it is too late and the Marauders teleport in; Mystique shoots Rogue. Just a GREAT 2006 X-Men page by this GREAT ART TEAM!